The results of this week's twitter poll are in. The oldest of the four franchises proved the least popular among TMW readers. Currently, plans are afoot to give us a Leatherface origin story, which probably won't endear the series any further to horror fans. This franchise really divides horror fans; the purists see it as a shoddy Halloween knockoff, while gorehounds embrace its over the top kills. Just over a fifth of you declared it your favourite. A reboot was due to hit screens this year but seems to have been pushed back to next year. We have to confess we were disappointed to see John Carpenter's creation fail to top the poll, losing out by a single percentage point. Last year a new installment was announced only for the deal to fall apart. Who knows where the future of this franchise lies? You can read our reviews of every entry in this franchise here. 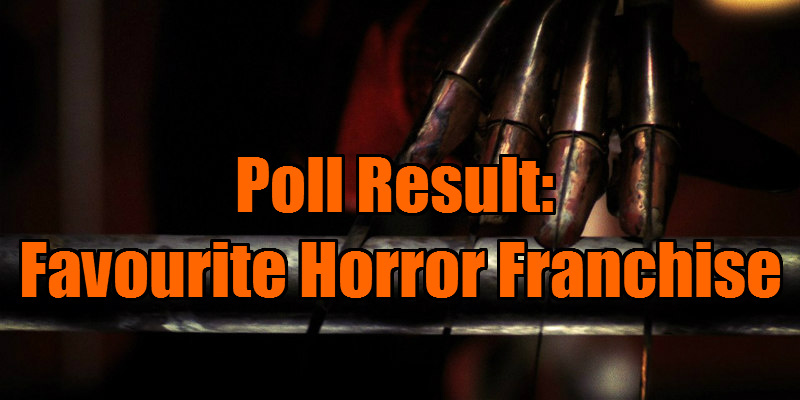 Ultimately our poll came down to a heated and bloody battle between Michael Myers and Freddy Krueger, with the latter edging it by one percent. We hope Wes Craven is smiling in director heaven. Want to take part in next week's poll? Make sure to follow us on twitter so you can have your say.